As the name suggest the promotional items here consist of all items which are used at house. Even if the image is missing you can enquire from us the household item which connect best with your concept, theme or brand. 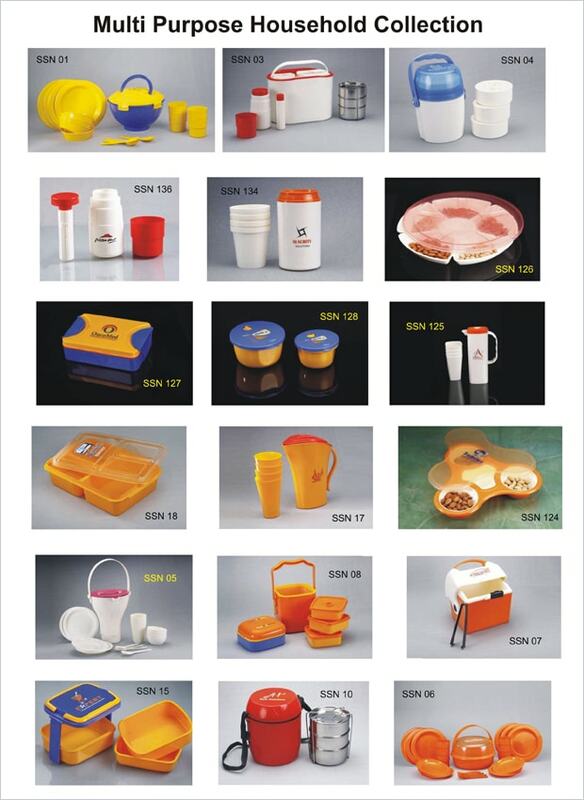 Trays, containers, serving dishes, idly maker, dhokla maker, milk boiler, cookware sets, cook and serving dishes, lunch carrier or tiffin boxes, dinner sets, gas lighters, coffee mugs, glasses, kitchen accessories, water bottles, canisters, sizzler series, spoons, ladders, cutlery range etc. The items can be made of plastic, stainless steel, other metals, glasses, ceramics, crystals, melamine, porcelain etc.